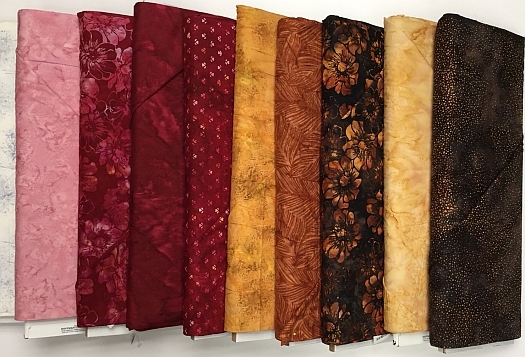 11/15/18 - New Flannels and Batiks in the shop this week! 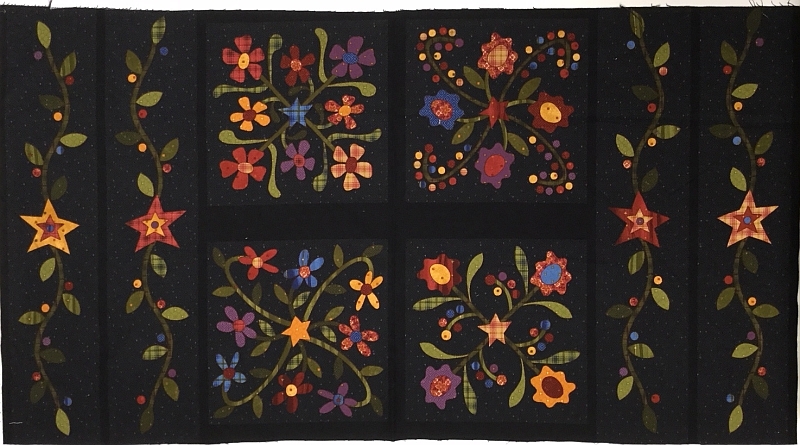 Designed by Janet Rae Nesbitt for Henry Glass & Co., these 5 great folk art flannels are perfect for your winter quilt creations. To view this collection on our website, click either picture above or clickHERE. 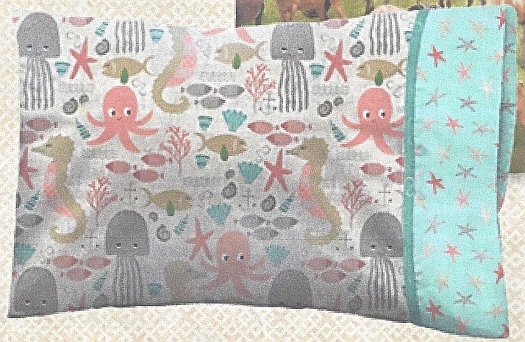 These original Hoffman Fabric designs are produced by hand on the lush tropical island of Bali. To view our entire collection of 28 Bali Batiks, please click HERE. 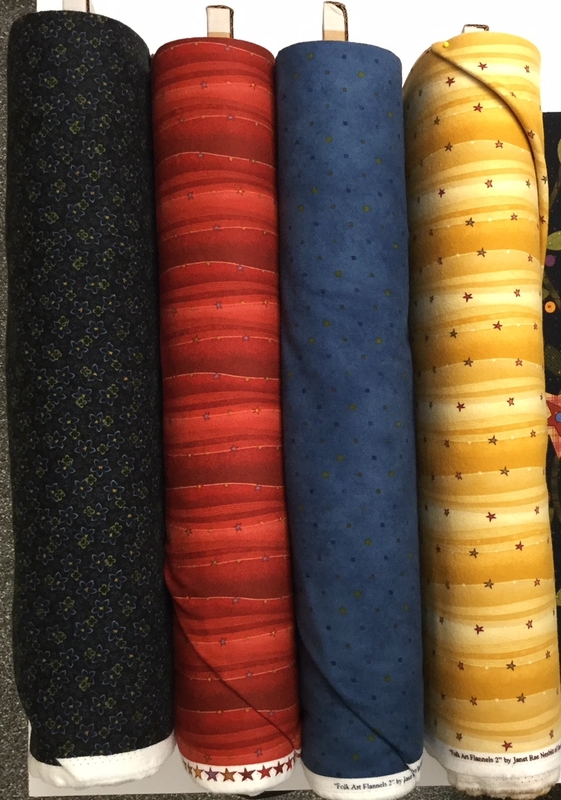 We also have many other batik fabrics currently in stock and you can browse all of the various collections by clicking HERE. We'll be offering 15% off of all Batiks that day! 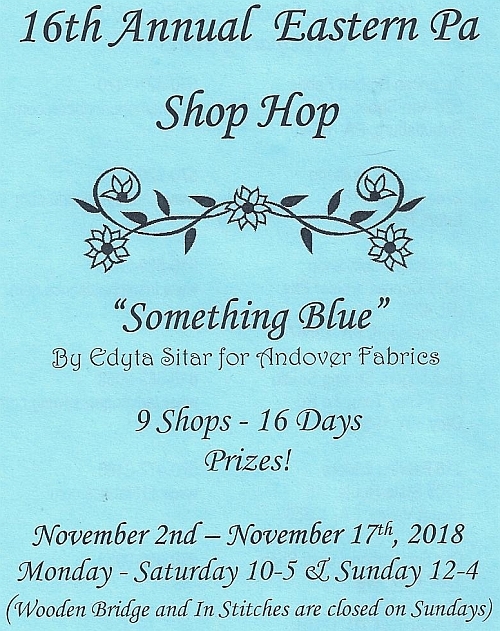 Plus, there are door prizes awaiting you at the shops!!!! 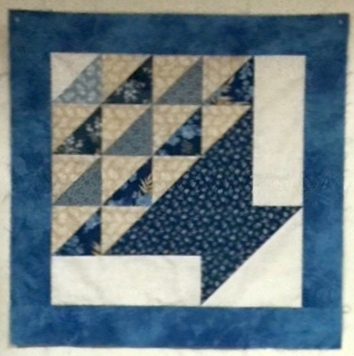 This 26" x 26" Wall Hanging uses the Something Blue Shop Hop fabric. Kits are also available in the shop now. Spots are still available for both weekday sessions so if you weren't able to make the previous weekend sessions, this one's for you! 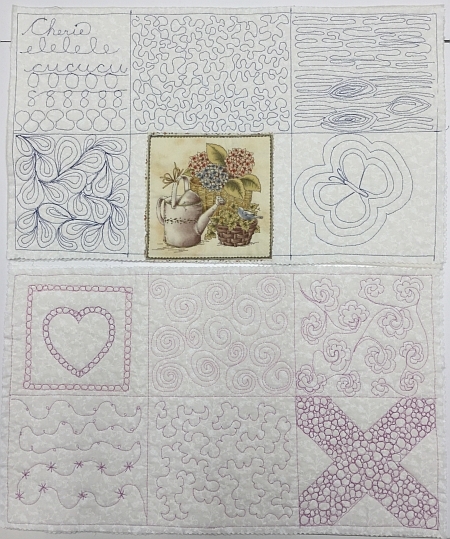 Learn how to do many basic machine free-motion quilting patterns shown below in 2 fun sessions. Class Fee: $20 each OR $35 if you take both classes. 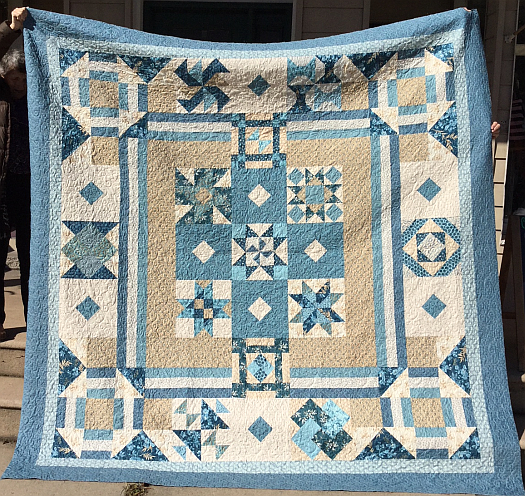 Students must supply their own muslin quilt sandwich squares. Supply lists will be available upon class registration. Please note that if you register for both classes online, you will be charged $20 for each and will receive an immediate $5 refund after we process your order. Crow Sew - The next scheduled meeting at the Crow will now be onWednesday, November 21st at 10am.